Crain is a village and commune in the Department of the Yonne, 35 kilometres south of Auxerre, and 1.2 kilometres east-north-east of Coulanges-sur-Yonne. The cemetery lies east of the centre of the village on the D39. 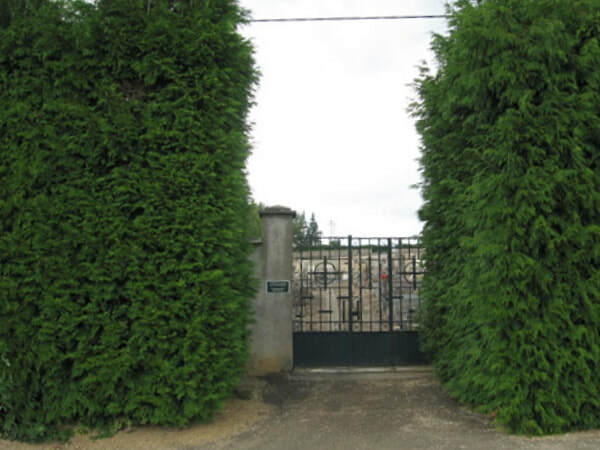 Take the Rue de la Mairie which changes its name to Rue de Bourgogne and the cemetery is on the left on the eastern outskirts of the village. 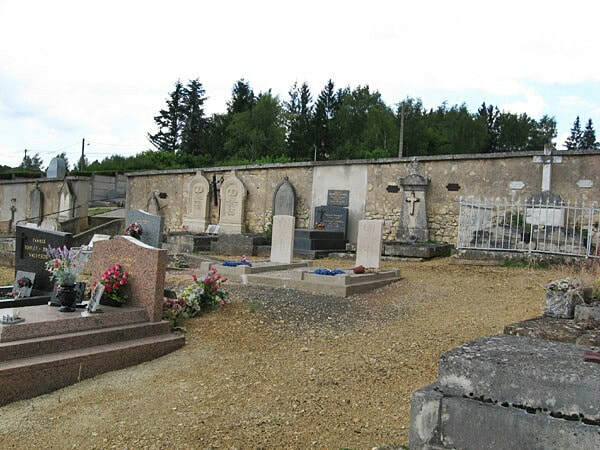 The graves of two British soldiers will be found in the north-east corner of the cemetery. 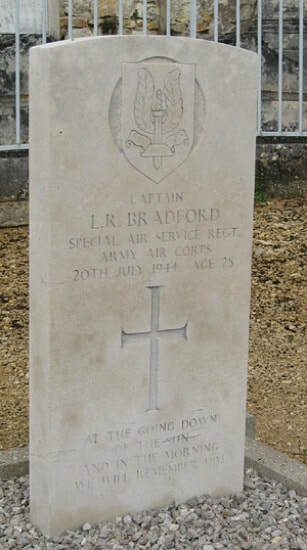 Captain Laurence Roy Bradford, Devonshire Regiment, attached Special Air Service Regt. A.A.C., A Squadron, 20th July 1944, aged 28. Son of Charles Horace and Mabel Dora Bradford of Barnstaple, Devon; husband of Joan Bradford. 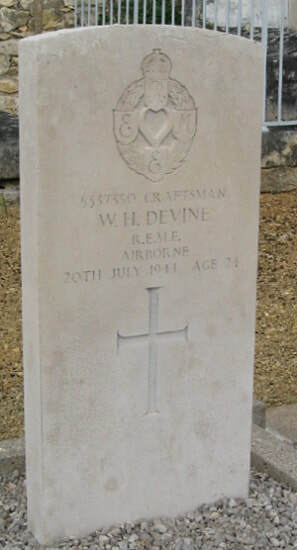 Craftsman William Henry Devine, Royal Electrical & Mechanical Engineers, attached Special Air Service Regt. A.A.C., A Squadron. 20th July 1944, aged 24.